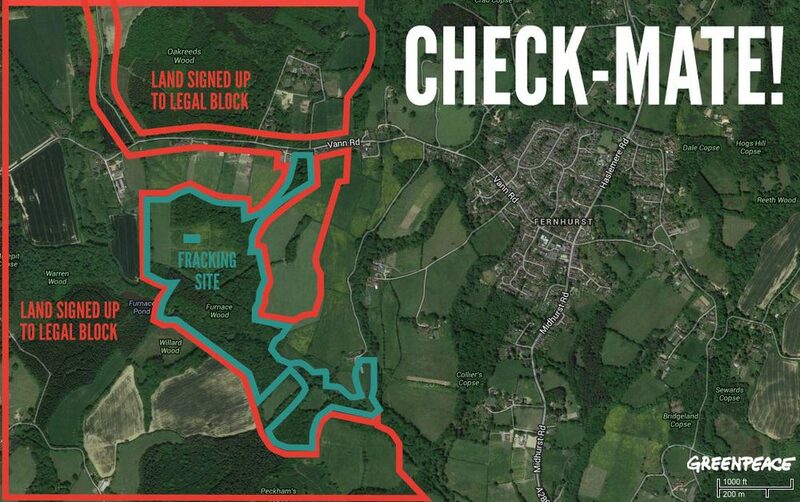 Landowners near Fernhurst, Sussex have signed up to The Greenpeace Wrongmove Legal Block - denying permission for fracking on their land which sits inside the South Downs National Park. So when Celtique Energie marched into town they found the site they had permission to drill on was surrounded by a legal block. If they drill sideways more than a few hundred meters in any direction they will break the law. This makes it nearly impossible for them to operate.